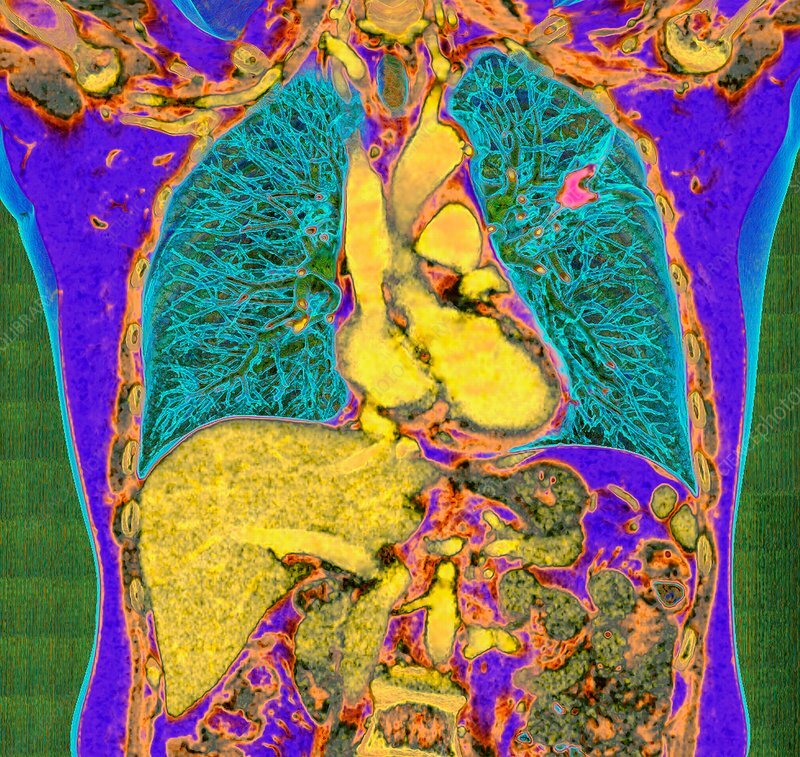 Lung cancer, 3D coloured computed tomography (CT) scan. The lungs (green) are shown in frontal view. The cancer (red) is at upper right. The heart (upper centre) and liver (lower left) and intestines are also shown. Cancer cells divide in an uncontrolled fashion and migrate to invade other tissues. Treatment is with surgery if the cancer is still localised, and chemotherapy and radiotherapy if it has spread.